Since iOS 11 release, you will need to have “Assets.car” in your build for your app to correctly show the app icon on the screen. If you are still using AdobeAir 27 or lower, you can skip this but sooner or later you will start compiling your app with AIR 28+. If you do that, you need to open xcode and generate the Assets.car file after creating many different versions of your app icon in different dimensions. ANELAB is making your life easier again when it comes to generating these many different versions of app icons. 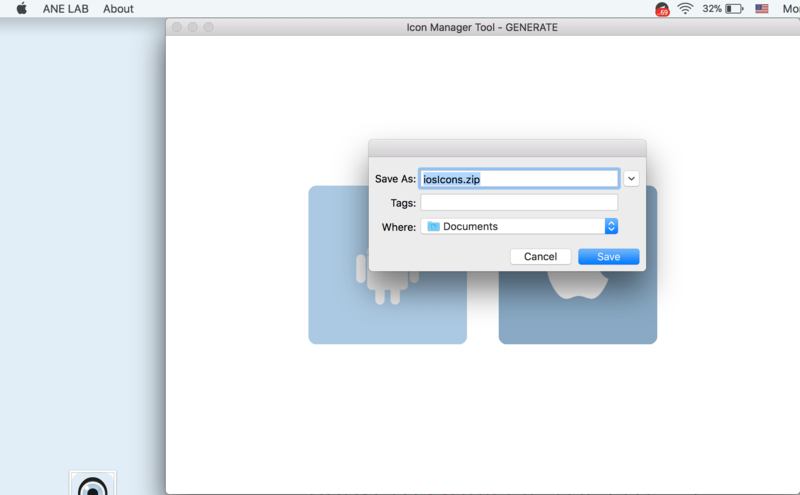 With a simple drag & drop of your large 1024×1024 icon, the icon-manager tool in the ANELAB will automatically resize and output all the app icon different versions. 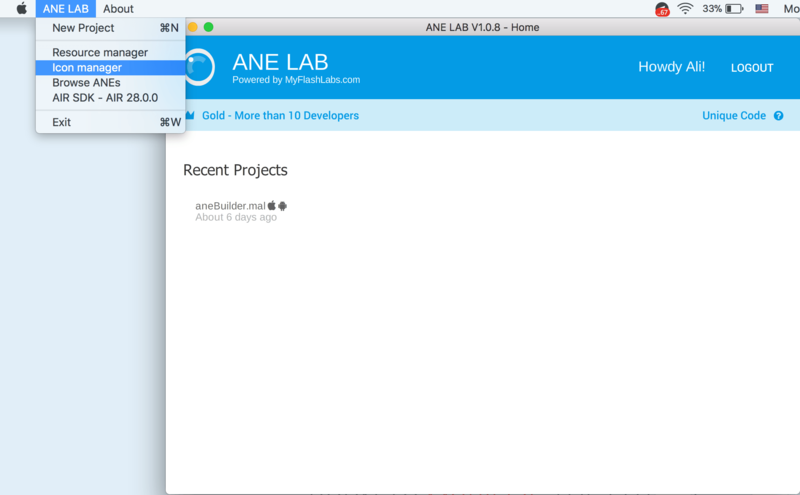 And on top of that, if you are on a MAC machine, ANELAB will compile and generate the Assets.car file for you in matter of seconds. If you are on a windows machine, only the resized icons will be outputted. Heads up! You must have xcode 9 installed on your machine or the ANELAB won’t be able to compile the Assets.car file. Go to our ANELAB Github Repository and download the software, .dmg or .exe depending what your OS is. 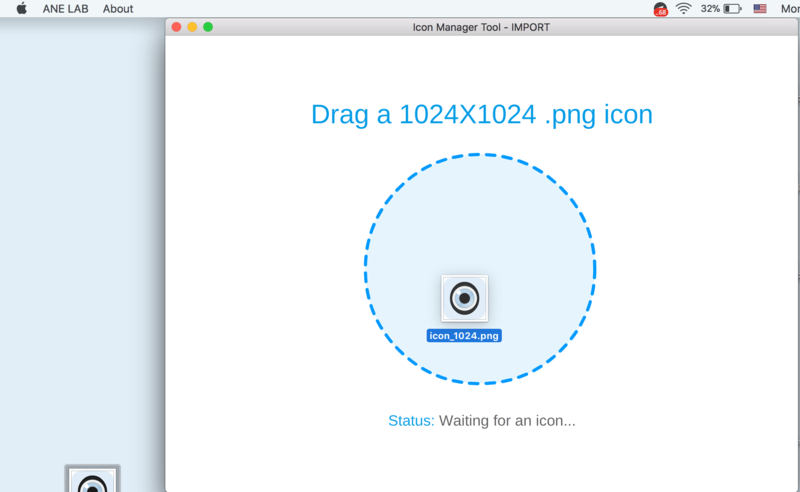 Even if you are not a club member, you can still use the icon manager tool. Now you have two big buttons on the screen! Click on the Android one to generate your app icon in Android dimensions. 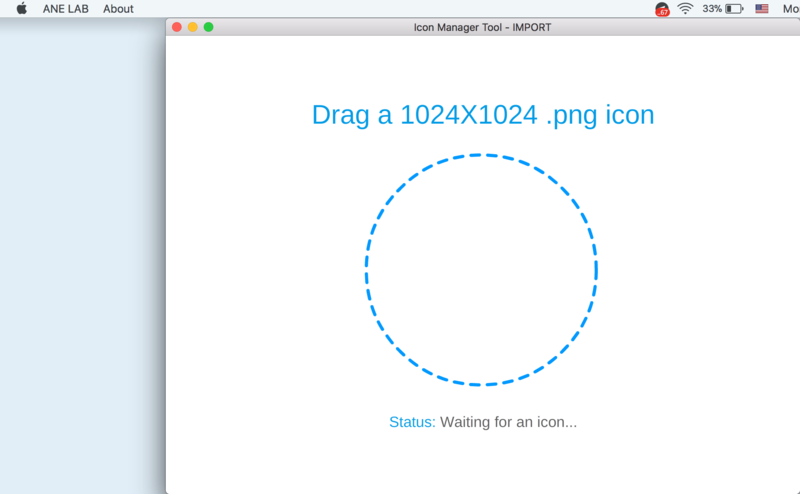 Also click on the Apple button to generate the icons and the Assets.car. Finally the generated zip file will include all the icons + Assets.car file which you can save it using the save dialog as you see in the screenshot. Posted in ANE Tuts, AS3 Starling Tuts, AS3 Tuts, Uncategorized and tagged Adobe Air, AdobeAir, Android icons, app icon, assets.car, generate app icon, icon, iOS icons, xcode, xcode9. 1024 x 1024 (1024pt, 1x). 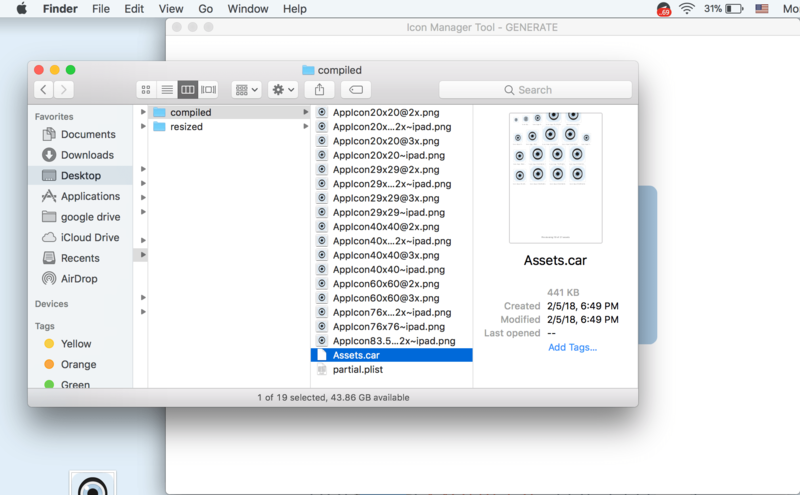 I´m asking this because I haven´t been able to build my iOS app using the Assets.car file generated by your ANE and I don´t know if having more icons on the Assets.car file may be the cause. However, thanks for the ANE!